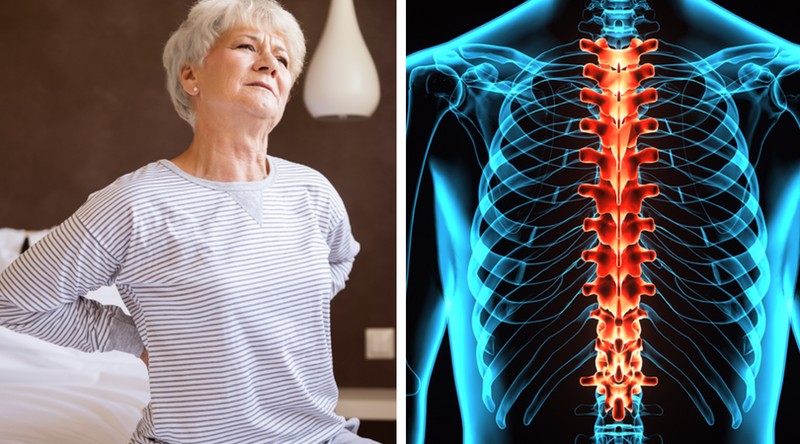 Spinal arthritis can be a painful and debilitating problem for people over 40. It causes stiffness and discomfort, which is usually more pronounced in the morning right when you wake up. This is known as “first movement pain” and typically lasts for about 30 minutes. The discomfort tends to lessen during the day as you go about your daily activities, then gets worse again at the end of the day. This is likely because you’re not active during the night, which leads to fluid accumulating in the affected facet joint or joints. This fluid build-up causes swelling. If spinal arthritis is left untreated, it can lead to physiological problems such as muscle breakdown or weakness. It can cause psychological problems too… like anxiety and depression. This is particularly common for people whose arthritis affects their quality of life or interferes with their ability to work. Not everyone with spinal arthritis will experience pain in the same way. Some experience low-grade chronic pain, while others may experience acute, sudden attacks of severe pain that limit their daily activities. In the most serious cases, spinal arthritis sufferers are bedridden during acute attacks. Spinal arthritis occurs when the cartilage, joints and discs in your neck and lower back break down. It can affect any part of your spinal column and typically occurs in the facet joints, or vertebral joints. Your facet joints are located in the rear part of your spine. They connect your vertebrae together and make it possible for you to do things like bend, twist and stretch. 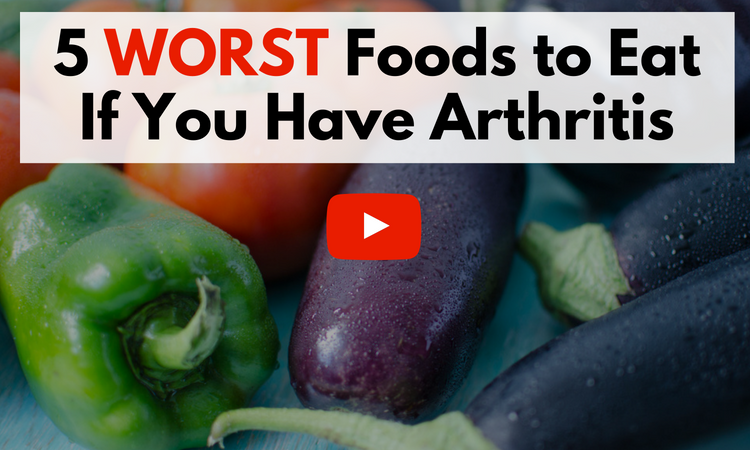 These joints are particularly prone to arthritis because of the pressure they’re under every day. When the cartilage breaks down in your facet joints (vertebral joints), daily activities can become more difficult. If you have cervical arthritis, sometimes called “neck arthritis,” you will likely have pain in your neck and upper part of the spine. Spinal osteoarthritis sufferers usually have neck pain as well as lower back pain. Low back pain can also be caused by lumbar arthritis. These imbalances can occur in your stress levels, hormone levels and nutritional levels. But most of the time when we talk about imbalances, we’re talking about muscle imbalances. These muscle imbalances can negatively affect your posture, which can lead to neck and back pain. The causes may vary from person to person, but common factors include degeneration in the bones, along with calcium build-up. Learn how calcium is affecting your body in my our book, The Calcium Lie II, which you can download for free right here. Sometimes, injuries or past spine surgery can lead to the onset of spinal arthritis. Nerves become pinched or compacted, causing severe pain or numbness in the affected areas. Many people who suffer from spinal arthritis of the spine will also be affected by herniated discs and bone spurs. These bone spurs can put pressure on the nerves of your spinal column, which may cause weakness and pain in your arms and legs. What are the symptoms of spinal arthritis? Classic symptoms of spinal osteoarthritis include pain and numbness in the back, neck, head, and shoulders, particularly in the morning. In more severe cases, where the spinal nerves or spinal cord are affected, it can cause numbness, weakness or tingling in your extremities. 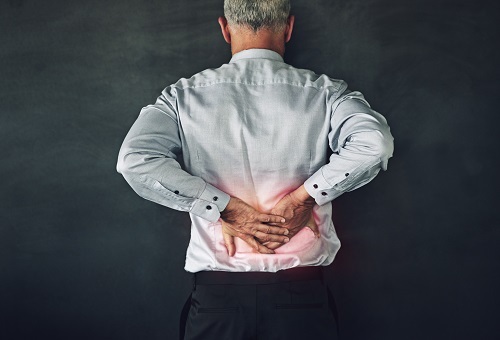 Because people with spinal arthritis often experience pain or burning that shoots down through the hip and into the leg, doctors often misdiagnose it as nerve root pain. Spinal arthritis symptoms may be different for different people, and the frequency and intensity can also vary. Some areas may ache from time to time and be all right other times. Bending and other everyday movements may also cause pain. Numbness is the neck area is very common, although other areas, including the arms and legs, may also experience numbness. In some cases, frequent urination or the urgent need to urinate may occur. If you go to a traditional medical professional, he or she will go over your medical history and perform a physical exam. During the physical exam, you may be asked to do a few simple exercises so your doctor can see if your range of motion has been affected. These may include bending forward, side-to-side or backwards. You also may be asked to lie down and raise your legs. Let your doctor if any of these movements causes pain. 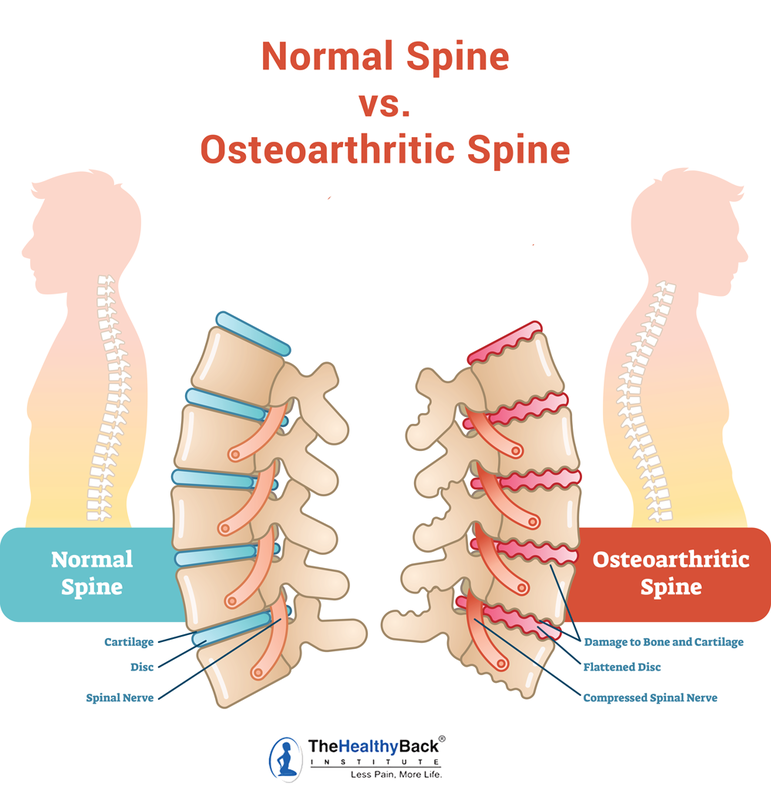 Because symptoms of spinal arthritis are similar to other spine conditions, your doctor may order other tests to rule out other – possibly more serious – problems. 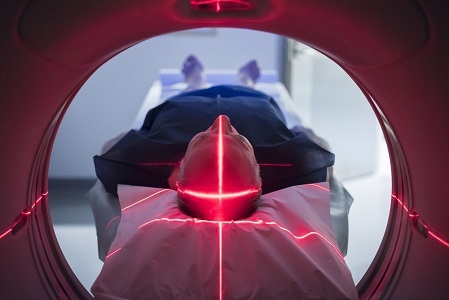 These tests may include blood tests, x-rays, MRI (magnetic resonance imaging) and CT scans. What are the most common spinal arthritis treatment options? One common treatment option that your doctor may recommend is bracing or a cervical collar to restrict your movement. If there’s no improvement after a period of time, your doctor may recommend spine surgery. He or she will probably also prescribe a painkiller, like acetaminophen (Tylenol), nonsteroidal anti-inflammatory drugs (NSAIDs) such as ibuprofen (Advil, Motrin), or prescription opioids such as codeine and morphine. Why do most traditional spinal arthritis treatment options fail? Most traditional treatment options fail to provide long-term pain relief because they only address your symptoms. They don’t address the underlying cause of your condition. Most doctors will tell you that developing spinal arthritis (or any other type of degenerative arthritis is just part of the aging process. They’ll say it can’t be avoided. And while it’s true that arthritis affects more than 90% of people over the age of 55 (and those numbers are expected to rise over the next few years), this does not mean that developing a degenerative arthritis is inevitable. And it certainly doesn’t mean you’re doomed to a life of pain or that you’ll need to rely on Big Pharma’s “solutions” forever. While there’s no magic bullet that works for everyone, there are a lot of simple, all-natural therapies you can use right now to relieve your pain. The best way to achieve long-term results is to combine treatments. Here are a few of the most effective spinal arthritis treatments. Big Pharma’s pain medications don’t have a great safety track record. And that’s putting it mildly. 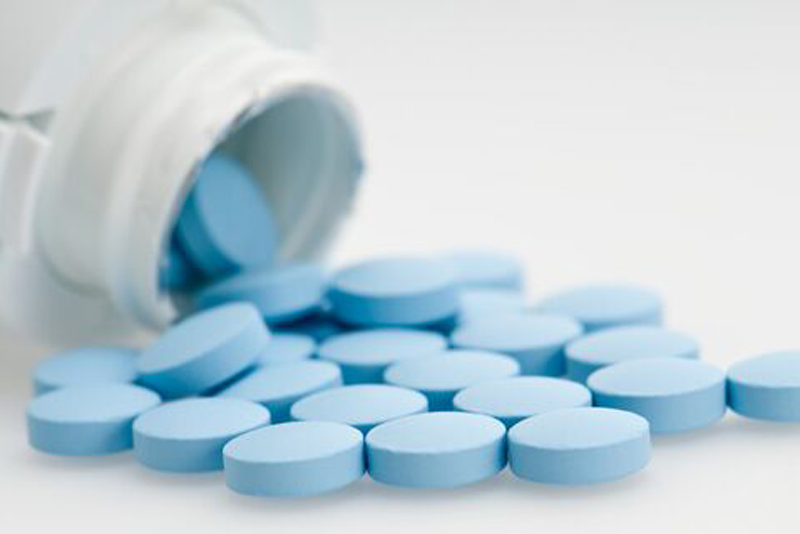 In fact, in 2016, researchers found that anti-inflammatories like ibuprofen (Motrin, Advil), naproxen (Aleve) and the prescription drug celecoxib re all equally dangerous for your heart. 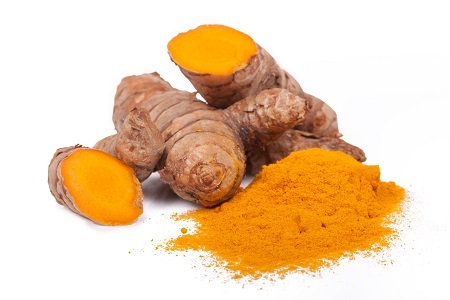 On the other hand, natural pain relievers like white willow bark, bromelain, turmeric and devil’s claw have a safety track record that goes back thousands of years. And studies show that herbs like these are at least as effective for reducing arthritis pain and inflammation. A hot or cold compress… which works better for pain relief? The answer is they both have their place. Applying heat to the area of the back that hurts provides soothing pain relief for a lot of people. You can choose dry heat (like a heating pad) applied directly to the sore spots. Or you can try moist heat, like a warm, moist towel or even a warm bath. The Healthy Back Institute offers a state-of-the-art heating pad that’s been shown to melt away pain and restore mobility in just 10 minutes. On the other hand, using ice packs or a cold compress can help numb arthritis pain.You can alternate between the two, but feel free to use whatever method provides you with the most pain relief. When it’s hard to move, the last thing you want to hear is the word “exercise.” But the research is compelling. 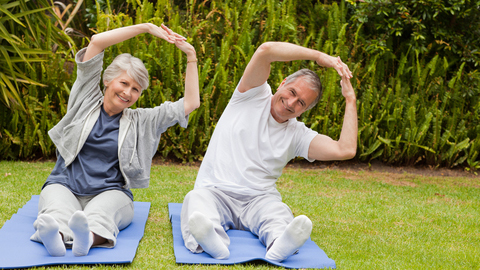 A recent study in the journal Arthritis Care & Research shows that as little as 45 minutes of moderate to vigorous exercise each week can decrease pain and improve mobility for osteoarthritis patients. Most of the patients involved in the study walked for exercise, so if that’s all you can do comfortably, that’s fine. No need to overexert yourself. Done properly, massages can bring much-needed relief for spinal arthritis sufferers. There’s a growing body of research that shows that massage can help relieve many of the symptoms of arthritis — including stiffness, pain, mobility and overall function. Make sure to find a licensed medical massage therapist and let them know that you have pain from spinal arthritis. And don’t be afraid to put an end to the massage if you find that it hurts. We’re looking for pain relief, not more pain. Inversion therapy is an alternative treatment method that’s been shown to provide pain relief for many types of back pain. It can help with decompression and stress on the joints of the spine. The principles of treatment address both the pain and the cause of your pain. Through strategic body assessments, your individual muscle imbalances can be identified. Once that is done, a very targeted corrective program can be designed for your specific needs. You can learn more about muscle balance therapy by watching the video below, or clicking right here. Thank you for explaining your pain. 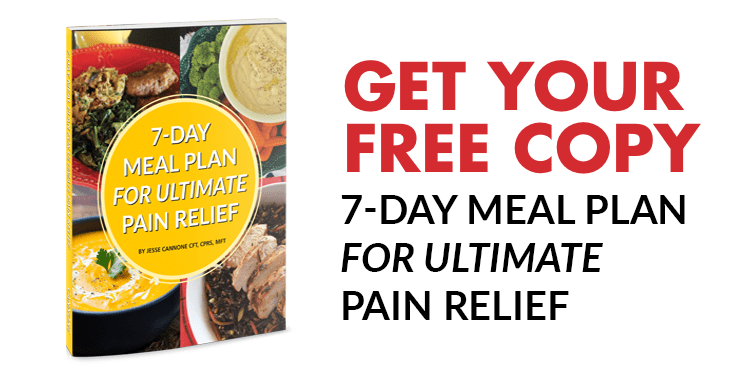 We would suggest as a good starting point that you get yourself a copy of our free book the “7 Day Back Pain Cure”. We believe that education is key to seeking relief from back pain and related pains and it will help you to consider options. The book discusses back pain issues along with related conditions, pain relief methods to try, various treatment options you can consider, pain relief suggestions, action plans and other helpful information for you when dealing with pain.